The 2DBuilding Illusion is of a hospital in San Antonio, Texas. 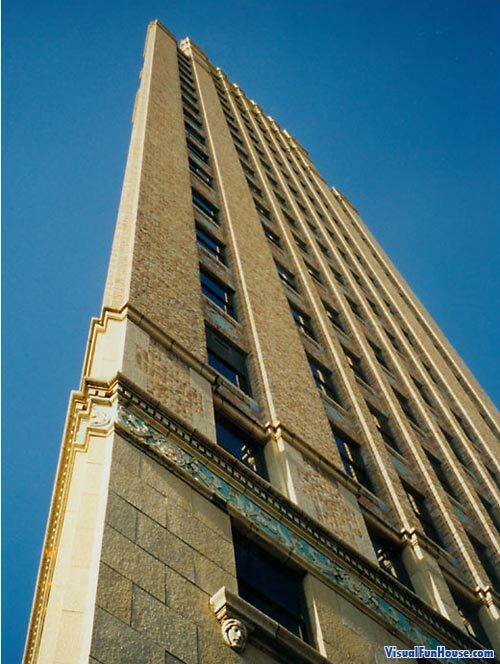 The building was created in 1931 and was the first hospital to ever be a skyscraper. The building is in a L shape and has extremely sharp angles. When facing the building form the south side at the river walk it creates the illusion that it is a 2d building. Also be sure to check out the rotated building illusion and the Building block apartment optical illusion.